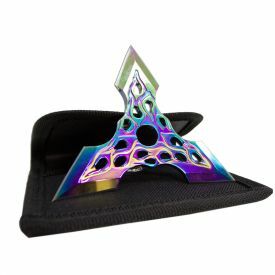 Yes, this is the 4 Point Silver Throwing Star. 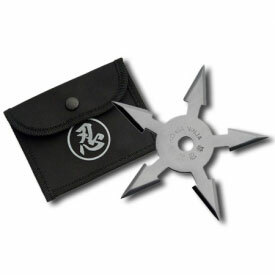 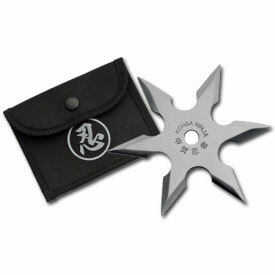 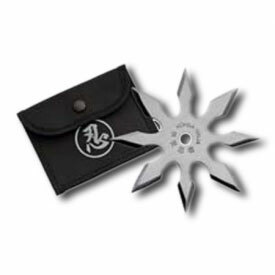 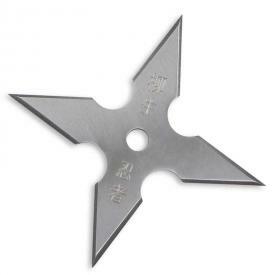 Made from a high quality stainless steel, this four-point shuriken has, well, four points. 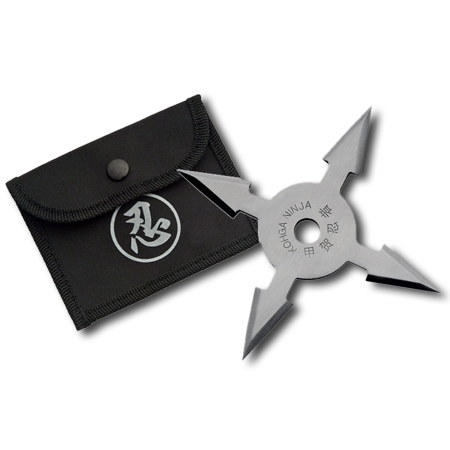 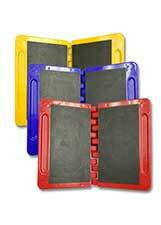 Each point is enhanced with sharpened edges so that you can throw with confidence and ease. 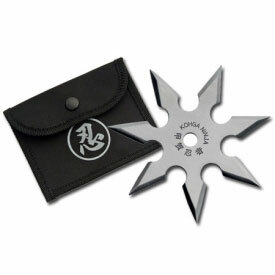 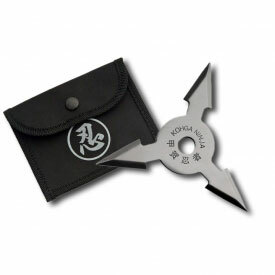 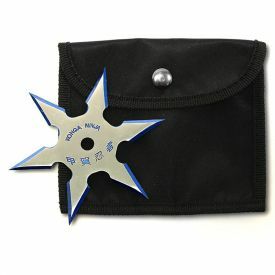 The four point ninja star comes with a nice black carrying case. 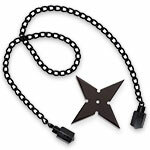 If you carry one ninja star, this might not seem important. 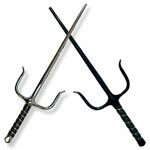 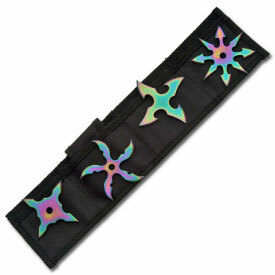 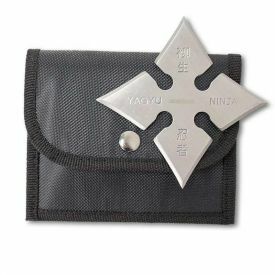 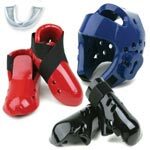 But if you're like us and take backup shuriken in case the first one misses, it's convenient to be able to slide lots of these babies onto your belt for easy access.